Seville city - guide to Seville( Sevilla) hotels etc. 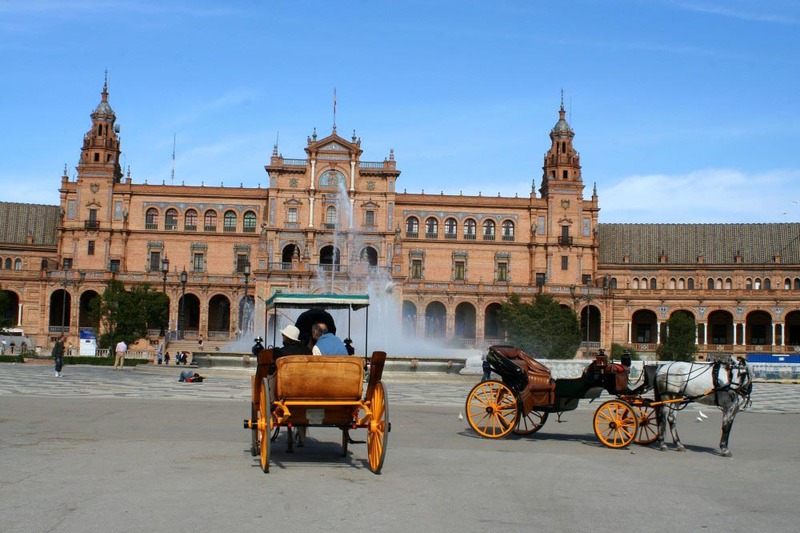 The city of Seville is the fourth largest city in Spain. Seville is a city lined with orange trees. Seville airport is located about 10 Kilometres north east of the city. Seville ( Sevilla) is the artistic, cultural, and financial capital of southern Spain, crossed by the river Guadalquivir It is the capital of Andalusia and of the province of Sevilla. There are many important museums in Seville, for example the Museo de Bellas Artes. One of Spain's most important art museums. Features an impressive collection of works by Murillo, Vales Leal, Zurbaran and El Greco, as well as a variety of ceramic, gold and silver productions. Seville is a interesting place to visit. There is plenty to see including the Cathedral which some consider to be the world's largest church. Places in Spain to visit Benalmadena, Mijas, Torremolinos, Torrevieja and Fuengirola on your cheap holidays in Spain.